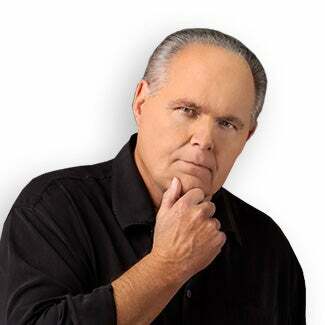 RUSH: Folks, this is great. Remember that meeting that Trump had with the Republicans and Democrats on immigration where the media was not kicked out? There’s another one in Davos right now. Fox is carrying it. You don’t need to watch it. I’m gonna tell you what’s happening here and my description’s gonna be even better than what’s happening ’cause this is fabulous. There’s a roundtable discussion. Trump is there with what are being called “global business leaders” in Davos. A couple of ’em look like they could be Bond villains. I mean, the visuals here are perfect. One guy’s wearing dark glasses. It looks like he’s probably got a white cat in his lap that he’s stroking that we can’t see, like the villain that runs SPECTRE, and Trump’s asking these guys about their businesses and what they do, and he’s asking every one of them, “Are you going to invest in America?” (impression) “Oh, yes, we are. Oh, we intend to very much so, yes! Yes! Yes! Indeed!” I heard him speaking to a guy who’s got some new product that contains aspirin. Trump said, “What percentage of the product is aspirin?” The guy answered. Trump says, “It’s not a big percentage. Do you own most of it?” (impression)”Yes, I do! We are going to invest in America. We’re looking forward to invest in America. Very good.” Everybody’s applauding, and the media’s not being kicked out. And Trump is running this as though he’s running this meeting, and all these people are staring at him in awe, and they all have smiles on their faces. And he is paying rapt attention to every one of them. Everybody’s speaking, he’s looking them straight in the eye. He doesn’t appear above it, he doesn’t appear bored, he doesn’t appear to be there under any kind of duress. He appears to be exactly where he wants to be, and he appears to be as comfortable as if he was in his favorite place in the world, and these people can’t get enough of the attention that he’s giving them. Grab audio sound bite No. 25 ’cause I want to share with you a Trump technique. Remember the meeting Trump had with Republicans and Democrats and Dianne Feinstein said, “What we would really like is a clean DACA bill. You give us that; then we’ll come back later and we’ll do comprehensive amnesty and all.” Trump said, “I could go for that. You guys, I’ll sign whatever you bring me. I’ll take the heat.” Remember how many of you in this audience (sobbing), “Oh, my God, he just caved! I knew he was gonna cave!” And you were panicking. I told you, “Don’t sweat it. This is not about immigration. This is Trump accomplishing something else.” In that case, it was blowing up the premise of the Michael Wolff book. The same thing is happening here, not this particular meeting. This is earlier today; this happened at the CNBC website. They posted a preview clip of an interview that Joe Kernen did with Trump that’s set to air tomorrow morning, and this is it. I want you to listen carefully to this. KERNEN: So you might reenter…? Are — are you opening up the door to reopening TPP? THE PRESIDENT: I’m only saying that I would do TPP if we were able to make a substantially better deal. And so probably we’re gonna have some reactions from Trump voters, “Oh, I knew it was too good to be true! Now he’s opening up a new trade deal with the globaslits!” That’s not I don’t think what’s happening here at all. I think Trump continues to do what he said he was always gonna do, and that is Make America Great, as he defines it. He’s going to do things that benefit America, and if they don’t benefit America, he’s not going to do them. But more than anything, he doesn’t commit himself to anything here. He just opens up the possibility. TPP is something that a whole lot of people thought they wanted, and it was slammed shut and looked like it was gone forever, hopelessly gone. And now here of all people comes the Trumpster reviving it. And in the process, reignites some interest from people who previously thought that their pet issue was dead. And in the process, does all of this in public, keeps people off balance while appearing to be just like he was in the health care meeting with the Democrats: Open, flexible, accommodating. I still think there’s a little bit of Trump trying to nuke the Wolff book in all of these appearances. So he’s actually tackling a bunch of things at the same moment in the same event. RUSH: So one of the Bond villain-looking guys at the Trump meeting just thanked him profusely for the expansion of the U.S. in global markets economy. There are probably a lot of wealthy people at Davos who are invested in the United States, and if so, they are probably very, very happy right now. It’s 8 o’clock over there. They’re not at dinner. They are at a working meeting where everybody is celebrating and thanking Donald Trump. Barack Obama’s name has not been heard. RUSH: Grab sound bite 26. This is the Bond villain, the guy that looked to me like the Bond villain. He is actually one of the few Americans at the Trump meeting. His name is William McDermott. He’s the CEO of SAP, a software company. They sponsor Ernie Els, if you’ve seen the logo on caps and so forth. Anyway, McDermott was invited by Trump — the people — to attend the meeting, and here’s what McDermott said to Trump. MCDERMOTT: Mr. President, I’d like to thank you, first of all, for having me, but also for spurring on all this growth, because these are all my customers. MCDERMOTT: It’s kind of amazing that all my customers are talking about adding jobs and growing their businesses, and it’s just a real tribute to the momentum that you’ve created in the global economy. So I thank you very much. RUSH: That, again, is William McDermott, the CEO of SAP or S-A-P. That’s like a major, major software company, custom software company for businesses and whatever they need in the enterprise. And he’s right. Practically anybody who’s anybody in the world uses SAP for one thing other another, and here he is thanking Trump for the worldwide economic growth. Trump is a rock star in Davos.